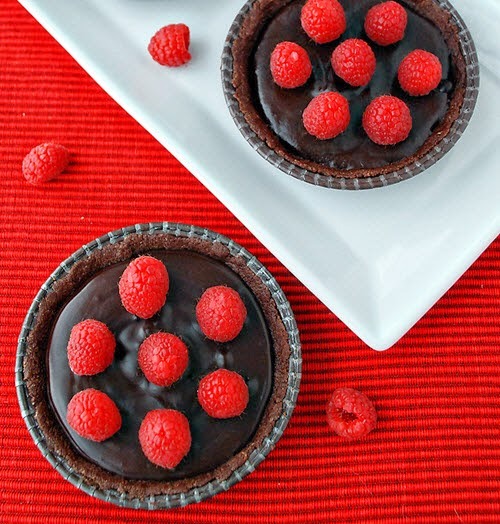 This amazing Dark Chocolate Tarts with Raspberries recipe is so delicious. Return tarts to the refrigerator to set and firm for at least 1 hour. 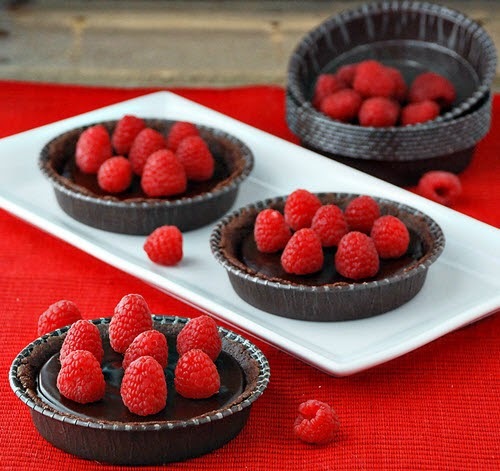 Before serving, allow the tarts to come to room temperature and then place an even layer of raspberries over chocolate. I hope you like it. Thoroughly grease 4 or 5 tartlet pans, 4 to 5 inch in size, with coconut oil. To make the crust: Place the almond flour, cacao powder, and salt into a large bowl and whisk to combine. Add the maple syrup and coconut oil and blend together with a fork until everything comes together and mixture becomes wet. Form the dough into 4 or 5 small balls and press evenly into tartlet pans with fingers along the bottom and up the sides. Refrigerate for 1 to 2 hours to allow the dough to firm and chill. To make the chocolate filling: Add the coconut oil and maple syrup to the bowl of a food processor and process until well combined. Add the cacao powder and process until smooth, stopping to scrap down the edges of the bowl as needed. Pour the chocolate mixture over crust and spread evenly.